1. To identify the major challenges in environmental issues and evaluate possible solutions. 2. Develop analytical skills, critical thinking and demonstrate socio-economic skills for sustainable development. 3. To analyze an overall impact of specific issues and develop environmental management plan. Introduction: Environment - Components of Environment Ecosystem: Types & Structure of Ecosystem, Balanced ecosystem Human Activities – Food, Shelter, And Economic & Social Security. Environmental Acts & Regulations, Role of government, Legal aspects, Role of Non governmental Organizations (NGOs) , Environmental Education & Women Education. 1. 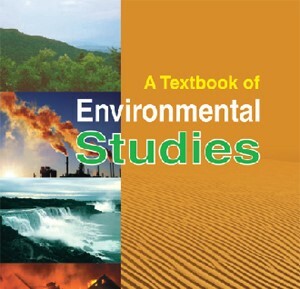 Benny Joseph (2005), “Environmental Studies”, Tata McGraw – Hill Publishing Company Limited. 2. R.J.Ranjit Daniels and Jagadish Krishnaswamy, (2009), “Environmental Studies”, Wiley India Private Ltd., New Delhi. 4. Aloka Debi, “Environmental Science and Engineering”, Universities Press (India) Pvt. Ltd. 2012. 7. Dr.Pratiba Sing, Dr.AnoopSingh and Dr.Piyush Malaviya, “Text Book of Environmental and Ecology”, Acme Learning Pvt. Ltd. New Delhi.